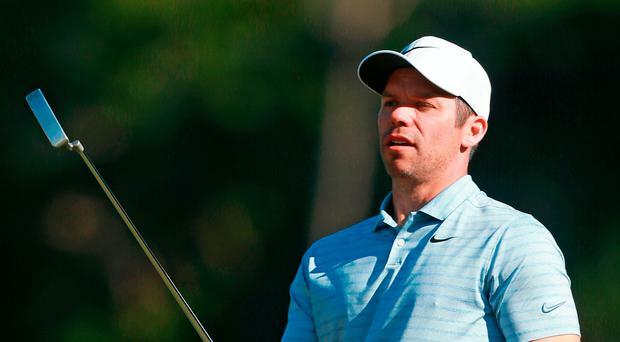 Defending champion Paul Casey moved into contention for back-to-back victories in the Valspar Championship with a second round of 66. Casey carded an eagle, four birdies and a solitary bogey on the Copperhead Course at Innisbrook Resort to share the early clubhouse lead with American Austin Cook on six under par. The 41-year-old Ryder Cup star was happy to bounce back after a missed cut in last week's Players Championship, won by Ulsterman Rory McIlroy. "I feel really good about it because last week was rubbish," said Casey. "For whatever reason I struggled a little bit round Sawgrass and that frustrated me, annoyed me, ahead of coming in here trying to defend my title which I'd love to do. Playing alongside Casey, Dustin Johnson carded a second consecutive 69 to lie two shots off the lead on four under par. Graeme McDowell dug deep to make the cut. The Ulsterman shot at a second round of 72 to leave him one over.